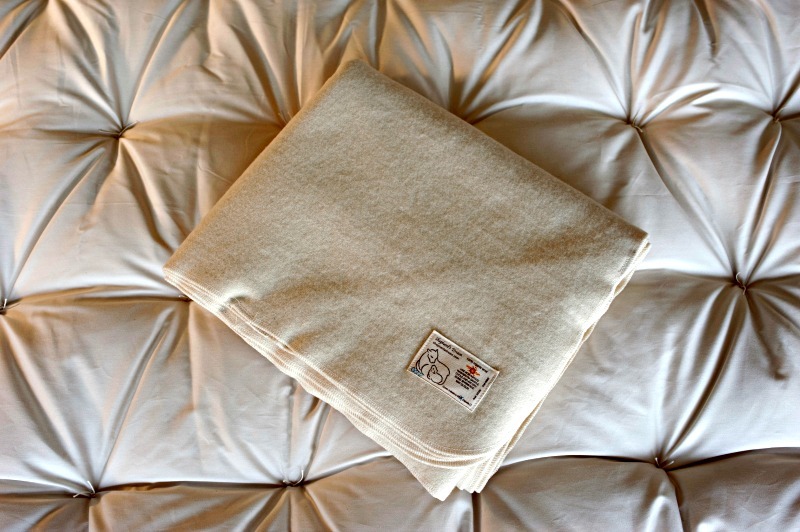 Our 100% premium Melton Wool Puddle Pad is made out of our soft, melton textile. 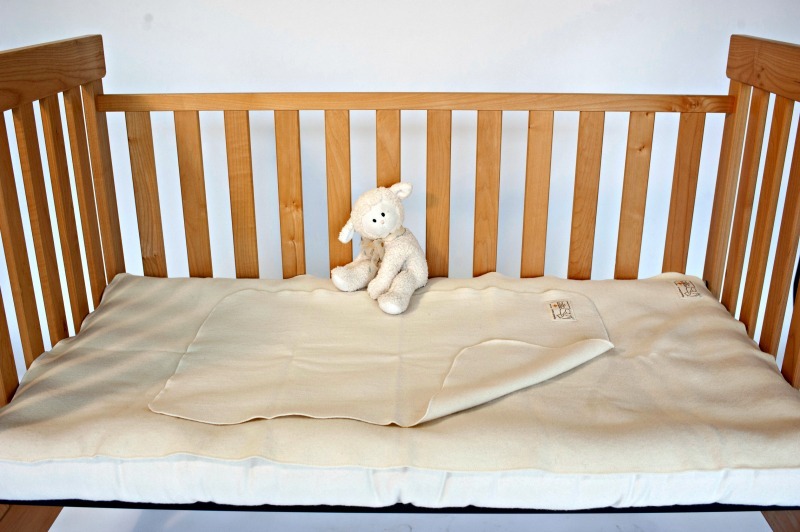 Wool is naturally absorbent and breathable making it ideal for your baby’s bed. In addition with our Crib Mattress protector, your mattress surface will be well protected from even the worst of accidents. Purchase this product now and earn 400 Dream Points! Our Washable Wool Puddle Pads are made with a simple serge stitch around the edges allowing it to be machine washed and dried on delicate when needed without any fraying. Wool is naturally absorbent, making it the ideal protective layer. 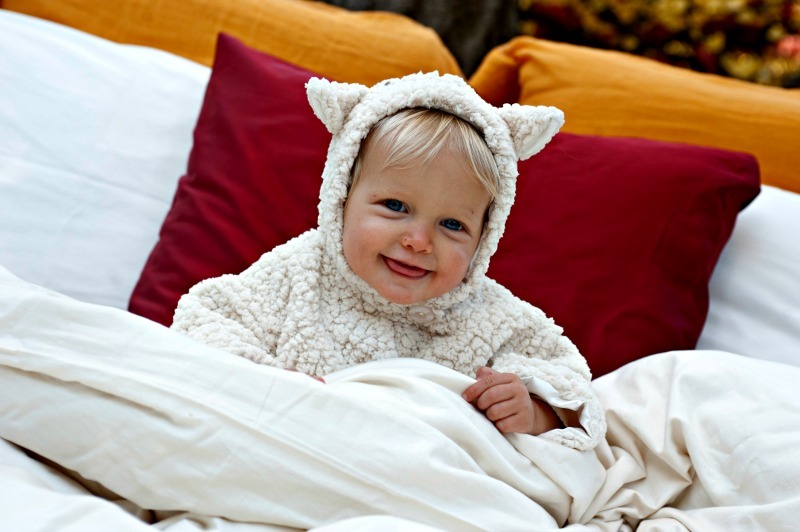 Raise your baby with the healing qualities of pure wool. Our wool Puddle Pads measure 20″ X 30″. Babies and toddlers sure do spend a lot of time sleeping! That is why our all natural baby bedding is the perfect solution for your little one. Baby crib bedding made out of natural and organic materials is one of the greatest gifts you could offer to your growing baby. 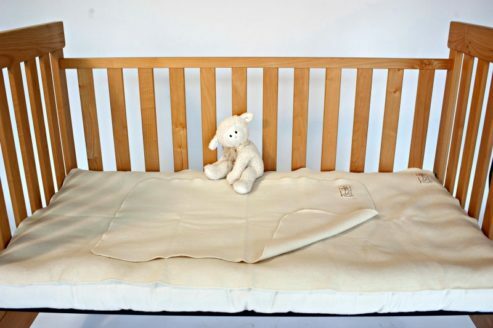 Wool filled baby bedding is comfortable, breathable and will help your baby to sleep deeper through the night. 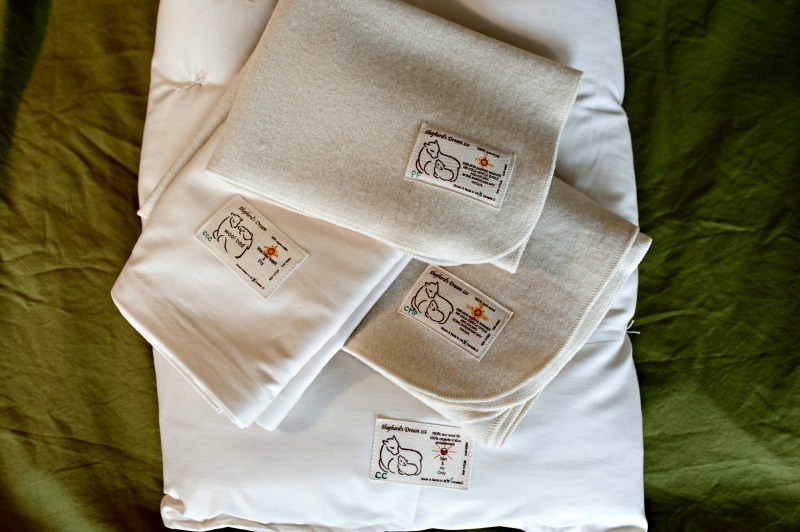 Our Melton Wool Mattress Protectors, Wool Puddle Pads and Wool Crib Comforters will nurture your baby night and day. Add a protective Puddle Pad to your baby’s bed today!